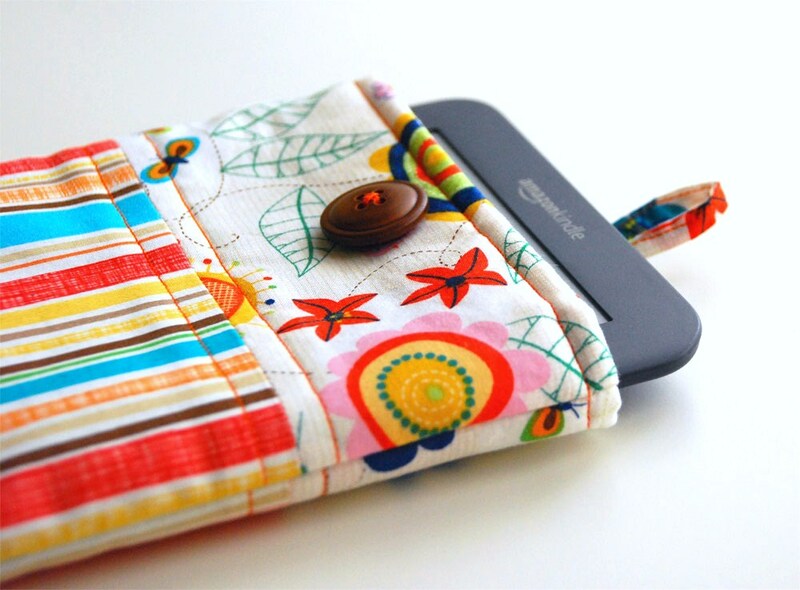 The Tablet Sleeve pattern includes instructions for the iPad, iPad Mini & smaller Kindles. This PDF pattern is full of photos to illustrate the steps for making your very own protective sleeve for iPad or Kindle. Keep your tablet from being scratched while in your purse or bag. The sleeve is also padded to help cushion the blow if your iPad is dropped, not to mention it will make your iPad look great. Make a one of a kind sleeve, give a great gift. Has a loop and button closure. 6 1/2”w x 8 3/4” t for iPad Mini\Kindle.